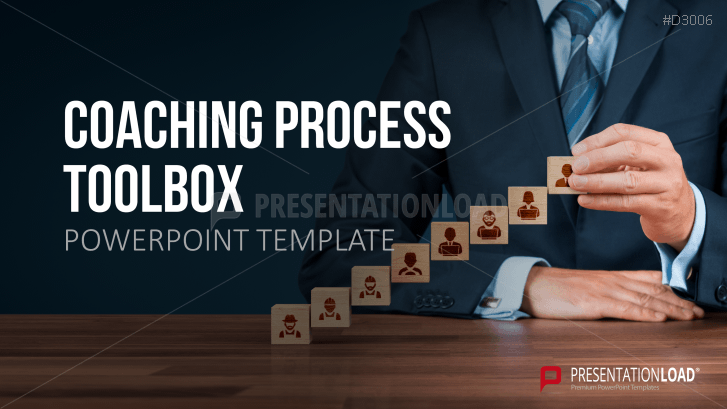 A toolbox containing ready-made slides, explanations, diagrams, and graphic elements for creating and presenting an individual coaching concept. Coaching involves a series of different consulting methods (individual coaching, business coaching, group coaching, and supervisor coaching). Coaches often pinpoint their clients’ issues through structured conversations in which personal and professional concerns are analyzed. The coach and client work together to cultivate personalized solutions. As a coach, it is important to exude professionalism - the first impression is crucial. Our templates can help you create a presentation to highlight your skills and methods. Benefit from our numerous explanations, diagrams, and graphics on coaching processes, coaching units, project plans, reporting templates, and much more. Create your own coaching model and convince your clients of its advantages. All pre-designed elements are ready to use and can be filled with your content or rearranged to your personal preferences.